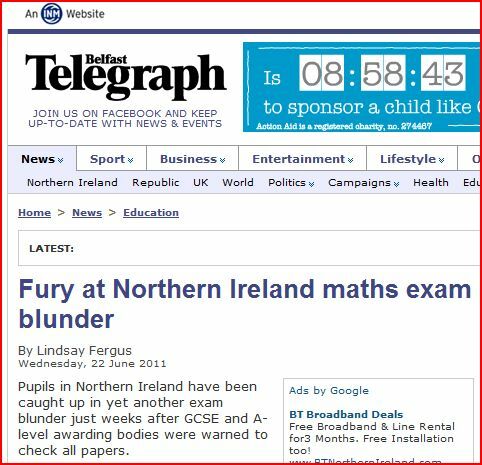 The latest mistake by an examinations body, AQA, containedin the GCSE Mathematics Unit 2 Foundation paper has resulted in the clearest evidence yet that the Regulator for Qualifications in Northern Ireland is not fit for purpose. The Regulator had committed to protect pupils from further mistakes after a flood of errors in this year’s examinations. 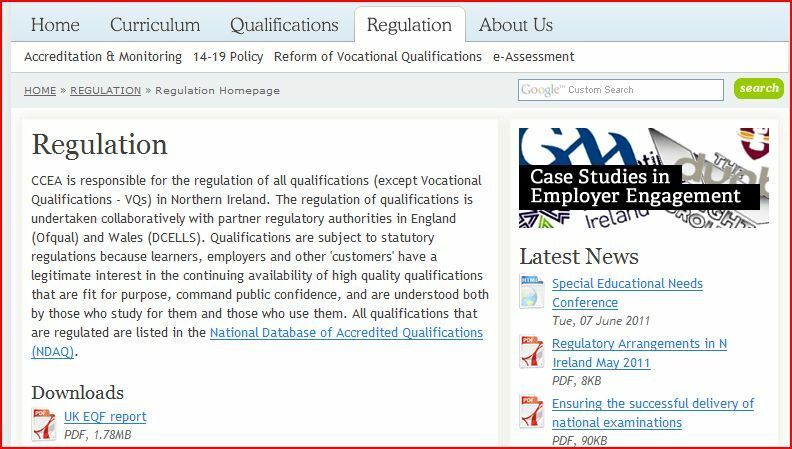 Roger McCune is the Regulator of Qualifications, he is employed by and works for CCEA. CCEA are the Examinations body for Northern Ireland they set, SELL and mark examination papers. Put simply, Roger McCune and CCEA regulate themselves. This is CCEA’s idea of “rewarding learning” Failed quality standards in producing examinations and failed accountability standards in regulation. Why would the public have any confidence in CCEA?